A team of TNA parliamentarians led by Opposition Leader R. Sampanthan met Prime Minister Ranil Wickremesinghe on Friday to discuss matters pertaining to the people in the North and East, a press communique from the Opposition Leader’s Office stated. During the meeting Sampanthan had drawn the attention of the Prime Minister towards unauthorised constructions and resettlement taking place in the North and East. “The TNA delegation also raised concerns over temples and statues being erected in the area. They pointed out that they were not against the resettlement of Sinhala people in the area, but that some elements were trying to instigate communal tension and unrest over resettlement,” the Opposition Leader’s Media Spokesman said. Meanwhile, Sampanthan toured the Southern Province last weekend. This was his first visit to the South after assuming duties as the Opposition Leader. Participating in a media briefing in Matara, he stressed that they were not for the division but for the devolution of powers. “The aspirations of the Tamils are to live in harmony in an undivided country with shared powers. Tri-forces are necessary for a country. Monetary affairs, foreign affairs and immigration and emigration should come under the control of the Central Government. Our party does not wish to divide the country, nor we desire another war. We see the repercussions of the war and we want to hinder all spaces that could lead to a war in the future,” he said. 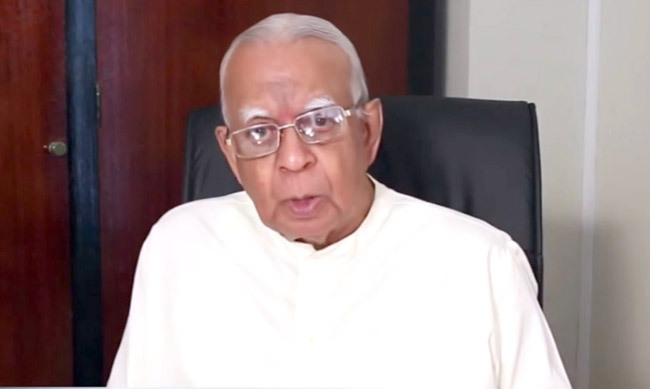 Sampanthan also said the responsibility of the Opposition is to point out the shortcomings of the development work and to support the government’s development move. He assured his commitment on behalf of the people of the country. The Opposition Leader made the visit on the invitation of UNP MP Buddhika Pathirana. In a united country anyone can build a place of worship anywhere in the country as long as it legal.